Lazio, once known as Latium, this area of the Italian peninsula has been inhabited by people for a long time….we’re talking since the 19th century BC at least! Of course back then, this wasn’t “Italy” yet and the folks living here were a long way away from being “italian”. As you might recall from my post about Italian Wine History, Greek settlers in the 9th century BC introduced wine making and grape cultivation to The Boot. It was adopted by the Latins, Etruscans, and eventually the Romans, who made a pretty serious practice out of wine. Under the Roman Empire wine making thrived to a ridiculous degree – consider that by 92 AD they had to start tearing out grape vines to make room for growing food! But as they say: nothing awesome lasts forever. The late Roman Empire became a pretty sad time due to loads of barbarian invasions, a dissolving empire, and malaria outbreaks in marshy lands throughout Lazio. The Western Empire had fallen by the mid 5th century, and Lazio was under control of the Papal States for the next several centuries. Viniculture (=wine making) definitely didn’t die, but it certainly wasn’t like it once was in the height of the glory days of Imperial Rome. It didn’t experience a wine revival until the late 19th century. Nowadays Lazio produces a helluva a lot of wine, ranging from dry to sweet, still to sparkling, and reds to rose’s to whites. Lazio wines are dominated by white wine production (some say overproduction), with the grapes Malavasia di Candia and a few types of Trebbiano accounting for 58% of plantings. Red wine is however making strides towards getting recognition, with some pretty noteworthy reds like Cesanese di Piglio DOCG, Velletri DOC, and Cori DOC. In terms of black grapes, Cesanese (of which there are two types) and the French variety Merlot currently dominate plantings. This is the only region where you can find modern production of an ancient wine once drank by the Romans, Falernum. 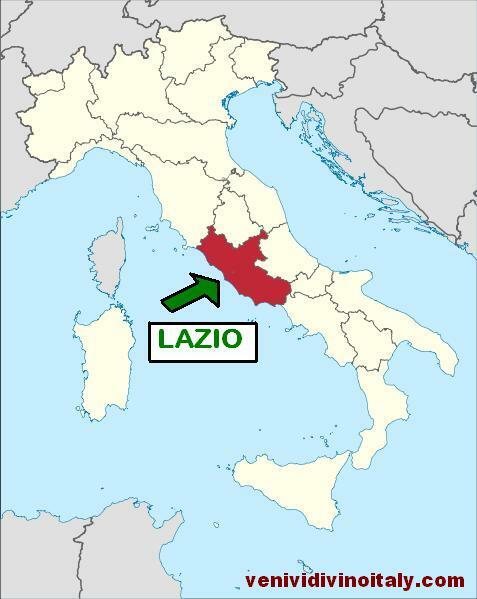 Geography: Lazio is smack dab in the middle of the peninsula, sandwiched between Tuscany and Campania, with Umbria and Abruzzo on its East and Northeast borders. It has a few natural elements helping to regulate temperatures: the Tyrrhenian Sea to the west provides cool breezes while the Apennine mountains guard the region from cold winds from the North. There are also quite a few sizeable lakes, like Bolsena, Bracciano, Nemi, and Albano. The soil is predominantly volcanic. Sauvignon (white), aka Sauvignon Blanc, a French variety. While you can see some Sauvignon blends in Lazio, Umbria, etc, it’s more common to see a sngle varietal Sauvignon from the northern regions of Italy. Merlot (black), French grape variety gaining more and more use in Italy, it by now is the 3rd most planted red variety in Italy. Nero Buono (black), an underappreciated black variety making up the blend of the red wines of Cori mostly. Frascati DOC/Frascati Superiore DOCG- $-$$ (inexpensive to mid-priced) These whites are typically light and easy to drink and more commonly dry. They are generally made of a blend of Malvasia (Malvasia di Candia and Malvasia del Lazio) and Trebbiano (Trebbiano Giallo and Trebbiano Toscano). Lovers of Frascati wines enjoy them for their youthful, fruity & citrusy character. Critics consider these wines to be underwhelming and flooding the market with mediocre wines. The Superiore on a label tells you that it’s made with grapes that are literally “superior” to the regulations requirements of the grape potential alcohol level of 11% in DOC wines. In other words they are made with quality in mind versus quantity and is considered to be a higher quality wine as a result. Castelli Romani DOC- $-$$ (inexpensive to mid-priced) Located in the cooler hilly areas, the Castelli Romani area is very close to Rome, a mere 15 miles/25 km away! These wines, like the aforementioned Frascati DOCs are usually lighter and easy, made from blends of Malvasia (di Candia and del Lazio) and Trebbiano (Giallo and Toscano). The cooler temps, and volcanic soil tend to allow for higher quality wines, despite the often high amount of wine produced. Some red wines are made too, generally from blends of Montepulciano, Sangiovese, and the French grape Merlot. 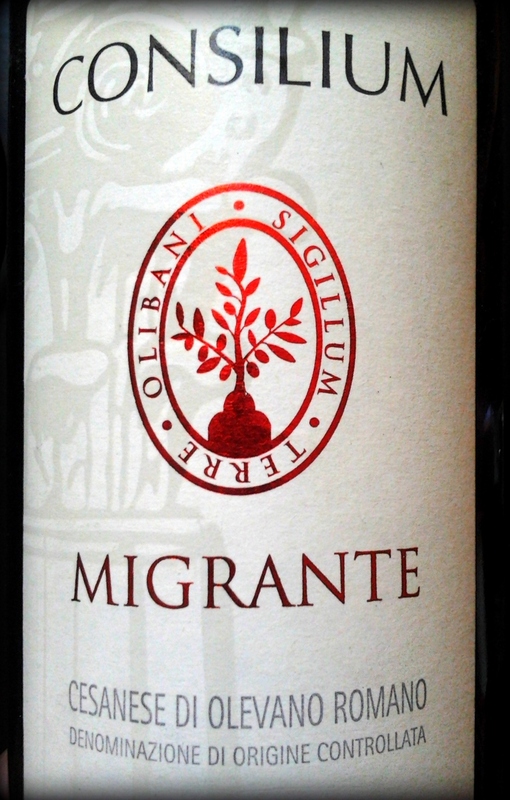 Cesanese di Affile DOC/ Cesanese di Olevano Romano / Cesanese del Piglio DOCG- $-$$ (inexpensive to mid-priced) Red Cesanese wines are finally gaining acclaim internationally. They can make wines ranging from light and youthful, fruity, cherry candy flavoured table wines to deep and dark, tannic, dark cherry, plummy, full-bodied delights any red wine lover would curl their toes sipping. Of the two Cesanese varieties the smaller berried Cesanese di Affile is considered the better one and usually dominates “Cesanese” wines. Cesanese can also be made into a lovely dessert wine, usually using the passito method. You can find Cesanese-based wines from Piglio, Serrone, Acuto, Anagni , Olevano Romano, and Paliano. 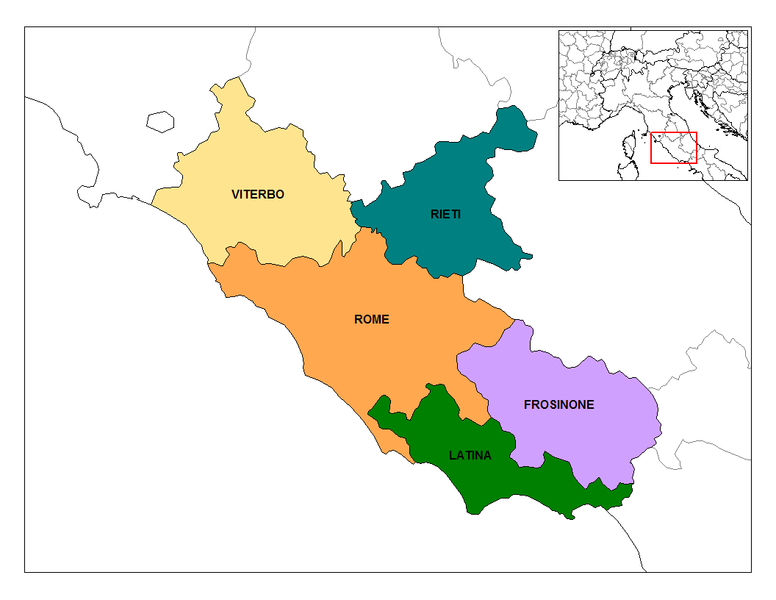 This entry was posted in Italian Wine Regions and tagged castelli romani, Cerveteri, cesanese, frascati, Frosinone, Italian Wine, Italian Wine History, Italian Wine Region, Italy, Lazio, Piglio, Rome, Vino, Viterbo, Wine History. Bookmark the permalink.